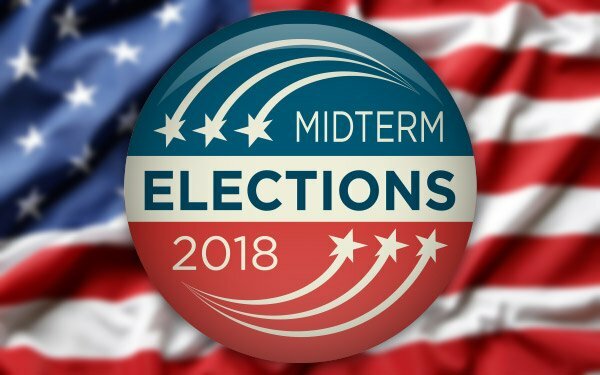 U.S. political advertising for this year’s midterm elections will climb 8% to $8.9 billion versus the same election four years ago, according to Borrell Associates. Digital media spending is forecast to see skyrocketing gains. The local advertising research company says less than one-third of all political money has already been spent. Borrell raised its earlier revenue estimates by $400 million. Overall political midterm spending will hit record levels this year. Broadcast TV is projected to get the bulk of the overall spending -- $3.5 billion -- although Borrell says its share of the market is a quarter of what it was four years ago: a 40% share. This year, it expects display will command the biggest part of digital, at $706 million. Digital video will hit $373 million, while email marketing will get to $362 million and search will reach $353 million. Overall, the researcher says more than 60% of every dollar will go toward social networks in terms of display and video advertising. Cable TV is projected to get to $1.1 billion (12.5% share). Radio will see $689 million (7.7%); newspapers/magazines, $723 million (8.1%); telemarketing, $501 million (5.6%); out-of-home, $406 million (4.5%); direct mail, $225 million (2.5%); and other print, $100 million.